Even the specter of my passport photo op this afternoon shall not deter my pumped mood. That up there. 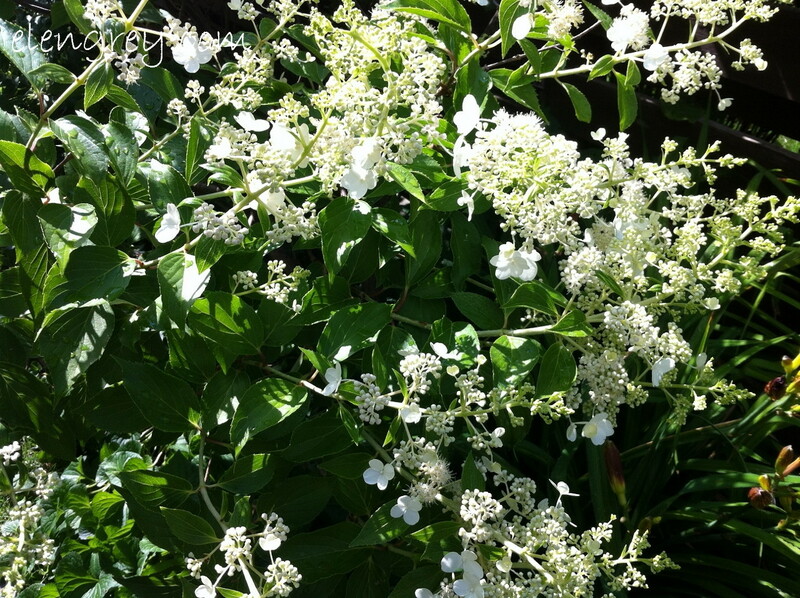 That’s my PeeGee Hydrangea…. a shrub masquerading as a tree. That’s what it looks like in July. It doesn’t look anything like that right now. It’s just popping its leaves. Had to put up both. Such totally different sounds. Which Bee Gee sound do you like better? I like all the sounds they made. All of them. I’ll take a Bee Gee sound any day of the week ; enjoy your weekend! Amen to that! The same to you, Sammy. Making that photo bigger really made a difference in the detail, beautiful. As for Bee Gees – I pick older. It does! Unfortunately, the blog post width cannot accommodate the larger images, which is why I always have a click through on my images. Thank you, Rhonda. Lovely flowers in delightful light you have captured. As for the Bee Gees – never my favourites. 🙂 But I’ll see you in the bar. Hey there, Lynne! Did I ever tell you that you and my baby brother have the same first name? Only his doesn’t have an “e” on the end, and I call him Quadcopter. Oh, nevermind. 😉 That is a verra cool memory. Verra cool. Have you heard Al Green perform “How Can You Mend a Broken Heart”? I have! Sublime. He put the broken heart in it.